According to his biographer, Rory T. Cornish: "Cartwright rose rapidly in the service. In 1762 he served in the Bay of Biscay as a lieutenant in the Wasp, commanded the Spy (1763–6), and devised certain improvements in naval gun exercises, afterwards incorporated in William Falconer's Marine Dictionary. Promoted first-lieutenant in May 1766, Cartwright was sent to the Newfoundland station to serve in the Guernsey, and in 1767 was appointed deputy commissary to the vice-admiralty court there." Cartwright became seriously ill and in 1770 he returned to England to convalesce. In the years before the outbreak of the American War of Independence Cartwright attempted to improve his poor education by reading a large number of books. He took a keen interest in politics and in 1774 Cartwright published American Independence: the Glory and Interest of Great Britain. Cartwright criticised British foreign policy and argued that the American people had the right to choose their own rulers and to tax themselves and advocated "a political union based upon a commonwealth of interest". The pamphlet upset the authorities and brought an end to his naval career. Instead, he was appointed as a major in the Nottinghamshire militia, which led to his being called Major Cartwright for the rest of his life. After leaving the navy Cartwright wrote and published Take Your Choice (1776). 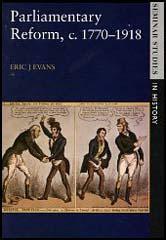 The book argued the case for parliamentary reform including: manhood suffrage, the secret ballot, annual elections and equal electoral districts. This was followed by The People's Barrier Against Undue Influence and Corruption. It has been argued that this was: "The finest of his pre-French Revolution works, revolved around six points. Continuing to advocate universal manhood suffrage, Cartwright also supported annual parliamentary elections, equal electoral districts, a secret ballot, the abolition of property qualifications for parliamentary candidates, and (to lessen political bribery) the payment of members of parliament." Edward Thompson, the author of The Making of the English Working Class (1963): "Major Cartwright defined as early as this the main claims he never swerved. Incapable of compromise, eccentric and courageous, the Major pursued his single-minded course, issuing letters, appeals, and pamphlets, from his seat in Boston, Lincolnshire, surviving trials, tumults, dissension and repression." In April 1780 Cartwright helped establish the Society for Constitutional Information. Other members included John Horne Tooke, John Thelwall, Granville Sharp, Josiah Wedgwood, Joseph Gales and William Smith. It was an organisation of social reformers, many of whom were drawn from the rational dissenting community, dedicated to publishing political tracts aimed at educating fellow citizens on their lost ancient liberties. It promoted the work of Tom Paine and other campaigners for parliamentary reform. Most members of the society were also opposed to the slave trade. Later that year Cartwright failed in his attempt to be elected to the House of Commons for Nottinghamshire. He also cooperated with Charles Fox and the Westminister Committee that also favoured changes to the parliamentary system. In 1787 Granville Sharp and his friend Thomas Clarkson decided to form the Society for the Abolition of the Slave Trade. Although Sharp and Clarkson were both Anglicans, nine out of the twelve members on the committee, were Quakers. This included William Dillwyn (1743-1824); John Barton (1755-1789); George Harrison (1747-1827); Samuel Hoare Jr. (1751-1825); Joseph Hooper (1732-1789); John Lloyd (1750-1811); Joseph Woods (1738-1812); James Phillips (1745-1799) and Richard Phillips (1756-1836). Influential figures such as Cartwright, William Allen, John Wesley, Josiah Wedgwood, James Ramsay, Charles Middleton and William Smith gave their support to the campaign. Cartwright also joined the Society of Friends of the People. Leading members of the group included Charles Grey, Richard Sheridan, John Russell, George Tierney, Thomas Erskine and Samuel Whitbread. The main objective of the the society was to obtain "a more equal representation of the people in Parliament" and "to secure to the people a more frequent exercise of their right of electing their representatives". Charles Fox was opposed to the formation of this group as he feared it would lead to a split in the Whig Party. On 30th April 1792, Charles Grey introduced a petition in favour of constitutional reform. He argued that the reform of the parliamentary system would remove public complaints and "restore the tranquility of the nation". He also stressed that the Society of Friends of the People would not become involved in any activities that would "promote public disturbances". Although Charles Fox had refused to join the Friends of the People, in the debate that followed, he supported Grey's proposals. When the vote was taken, Grey's motion was defeated by 256 to 91 votes. Some Whig MPs objected to Major Cartwright being a member of the Friends of the People. They particularly disapproved of a speech Cartwright made where he praised Tom Paine and his book Rights of Man. On 4th June, Lord John Russell and four other Whig MPs resigned from the group in protest against Cartwright's continued membership. Cartwright made contact with the London Corresponding Society in 1793. At the end of that year Thomas Muir and the supporters of parliamentary reform in Scotland began to organise a convention in Edinburgh. The Society sent two delegates Joseph Gerrald and Maurice Maragot, but the men and other leaders of the convention were arrested and tried for sedition. Several of the men, including Gerrald and Maragot, were sentenced to fourteen years transportation. 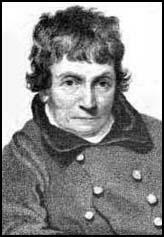 In 1805 John Cartwright left his large estate in Lincolnshire and moved to London. Cartwright made friends with other leading radicals living in the city including Francis Burdett, William Cobbett and Francis Place. In 1812 Cartwright decided to form the first Hampden Club. He then toured the country encouraging other parliamentary reformers to follow his example. Cartwright main objective was to unite middle class moderates with radical members of the working class. This worried the authorities and this led to Cartwright's arrest in Huddersfield in 1813. Samuel Bamford formed a Hampton Club in Middleton and Joseph Healey did the same in Oldham. Later that year John Knight and Joseph Johnson started the Manchester Hampden Club. 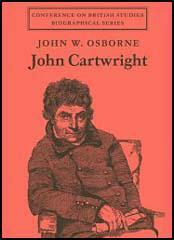 Other clubs supporting the ideas of Major John Cartwright were also formed in Rochdale, Ashton-under-lyne and Stockport. Meetings took place once a week and as well as having debates on various political issues, radical newspapers such as the Manchester Observer, Cobbett's Political Register, the Black Dwarf and Sherwin's Political Register were read to the members. Paul Foot, the author of The Vote: How it was Won and How it was Undermined (2005) has argued: "The Hampden Clubs, founded by Major John Cartwright, split between those who wanted votes for those with property at a rateable value of more than £300 - effectively excluding all but a tiny minority of wealthy people - and Major Cartwright, who consistently urged universal male suffrage by secret ballot and annual parliaments. Cartwright sought tirelessly to bring the warring factions together, but every dinner or meeting he arranged ended in interminable squabbles on the central issue of how much property should have before they should get the vote." In 1818 John Knight became co-ordinator of Lancashire's Hampden Clubs and was afterwards known as the "Cartwright of the North". It was Knight's idea to ask Cartwright to speak at the St. Peter's Field meeting on 16th August, 1819. Cartwright, who was seventy-nine at the time, was unable to attend and missed the Peterloo Massacre. However, as a result of speaking at a parliamentary reform meeting in Birmingham, Cartwright was arrested, convicted and fined £100. (1) In his book Passage in the Life of a Radical (1843), Samuel Bamford described the formation of the Hampden Club in Middleton in 1817. (2) In his book Historical Sketches and Personal Recollections of Manchester (1851), Archibald Prentice described how some of the leaders of the Hampden Clubs were arrested by Joseph Nadin and sent to be tried in London. Among the persons taken into custody, under the suspension of the habeas corpus act, was the weaver poet, Samuel Bamford, who was apprehended and handcuffed at Middleton, by Nadin, the deputy-constable of Manchester, and six or eight police officers, all of whom were well armed with staves, pistols and blunderbusses. On Sunday, the 30th of March, 1817, Samuel Bamford, along with Dr. Healey, Joseph Sellers, Nathan Hulton, John Roberts, Edward Ridings and Edward O'Connor were sent off to London, heavily ironed by the legs. Nadin wished to add body and neck collars, and armlets with chains, but the king's messengers objected to their use. On Tuesday they were conveyed to the secretary of state's office, at Whitehall, where they were received by Sir Samuel Shepherd, the attorney general, Lord Sidmouth and Lord Castlereagh - the secret tribunal, which, under the suspension of the habeas corpus act, superseded judge and jury. Major Cartwright defined as early as this the main claims he never swerved. Incapable of compromise, eccentric and courageous, the Major pursued his single-minded course, issuing letters, appeals, and pamphlets, from his seat in Boston, Lincolnshire, surviving trials, tumults, dissension and repression.... before the Napoleonic Wars had ended, he found the first reform societies of a new ear, the Hampton Clubs, in those northern industrial regions where his clerical brother had eccelerated other processes of change with his invention of the power-loom. The Hampden Clubs, founded by Major John Cartwright, split between those who wanted votes for those with property at a rateable value of more than £300 - effectively excluding all but a tiny minority of wealthy people - and Major Cartwright, who consistently urged universal male suffrage by secret ballot and annual parliaments. Cartwright sought tirelessly to bring the warring factions together, but every dinner or meeting he arranged ended in interminable squabbles on the central issue of how much property should have before they should get the vote.